Liquid eyeliners are always tricky to use,especially for the girls who do not apply them on daily basis. I being one of them have recently fallen for these babies to define my eyes. Pencil eyeliners are very easy to use but getting a very fine finish from them is not always easy. They smudge, disappear magically and require retouch every couple of hours. Liquid eyeliners, on the other hand do not have these problems, given that you buy the right one. 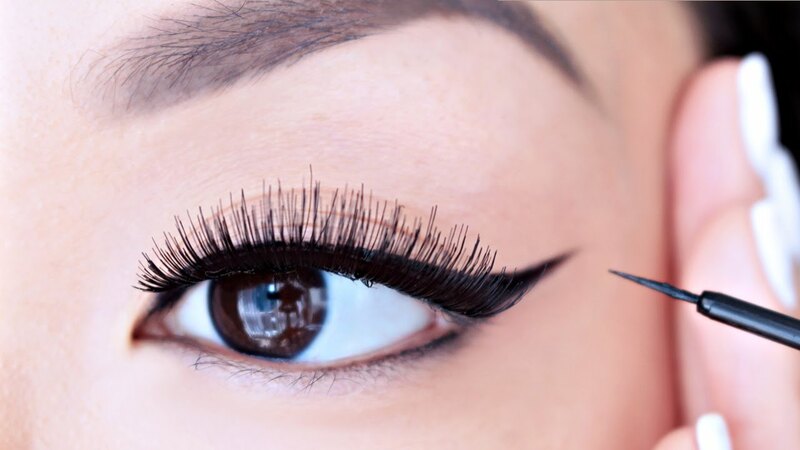 Not all liquid eyeliners are able to give you desired dreamy wing eye. The biggest problem I faced was poor quality wands and not being water proof even after it was mentioned on the packaging. After trying endless number of brands, I came up with these 7 best waterproof eyeliners available in India and in your budget that will not disappoint you at all. Makeup revolution has really good makeup products and I have tried several from the brand. This Makeup Revolution amazing black eyeliner is the blackest black eyeliner I have sen until now. It dries off with a glossy finish and stays on for 3-4 hours depending on your skin type. Being waterproof I really like it, but the wand comes with a very thin applicator brush so you might have to work it a bit to create thick line. 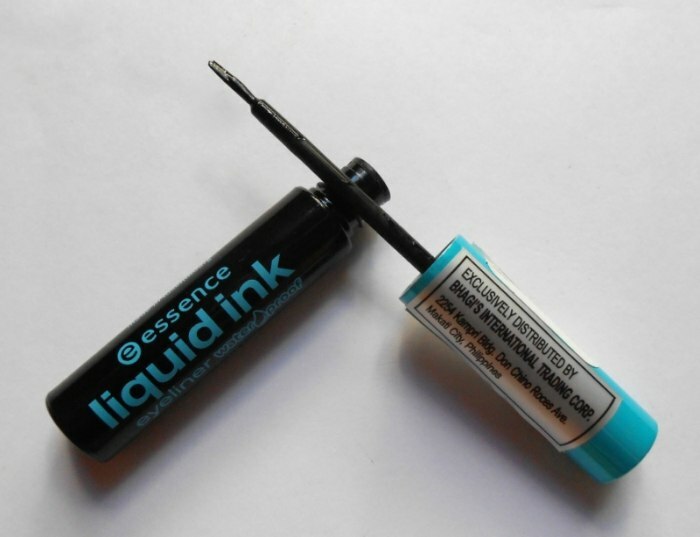 Essence liquid ink is the cheapest waterproof eyeliner I know. The wand is also a bit thick to give you a nice definition. With it's amazing staying power and waterproof feature, it is a must try for you all. Gel eyeliners are designed for girls who have mastered the art of liquid eyeliners. Using the brush and formula to create the desired dramatic effect on your eye is not less than creating an art. 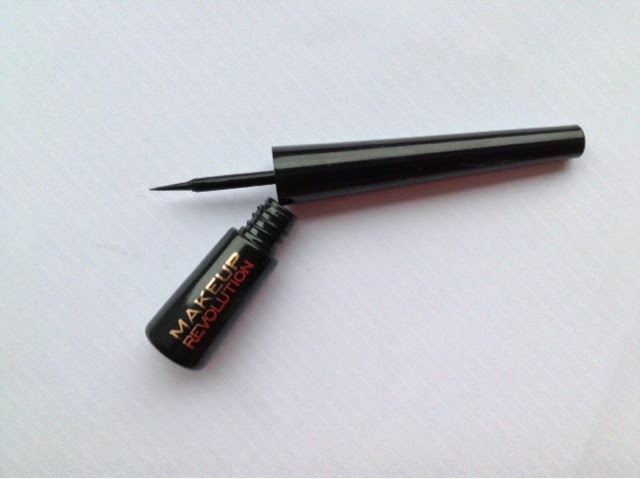 Maybelline eye studio gel eyeliner is a great eyeliner which is easy to apply, comes with a decently shaped applicator wand and is waterproof. Although, it is at a higher price range, but totally worth it! If you are someone who can use gel eyeliners with an ease. You have to give a try to Rimmel Scandal Eyes eyeliner. Similar to Maybelline eye studio gel eyeliner, this is a great product, perfect to give you desired wing eyes. It is water proof and has a good staying power too. Maybelline is the master of eyeliners. I really love the staying power of this Hyper Glossy liqid liner from Maybelline. It stays on for 6-8 hours without bulging from the place. It is super glossy and gives a gorgeous finish. It was my very first liquid liner and made me fall in love with it. It is easy to use and highly water proof. You will need a makeup remover or cleansing milk to take it off. I am a big fan of Maybelline eyeliners and have tried almost all the eyeliners available with the brand. 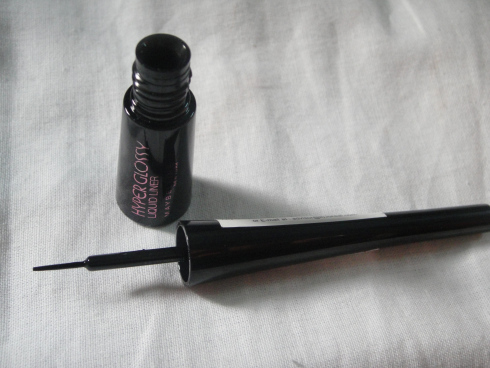 After trying the Hyper Glossy one, I thought of getting this Hyper Matte liquid liner from Maybelline. It is easy to use due to shape of the wand. Although the quantity seamed a little less but quality is good and waterproof. It lasts for up to 4 hours and after that it starts flaking off, especially if you have oily skin. I will advise you to use an eye primer before applying it. 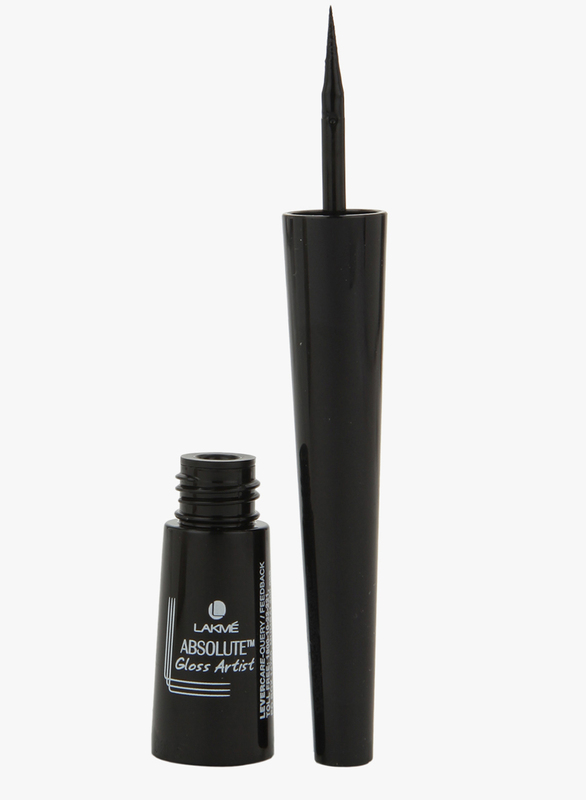 After trying the Lakme Black Insta Liner I lost my trust in any of the lakme eyeliners, but this one really did stand out. I tried it a couple of times and loved it. Stays put for about 3-4 hours giving a nice definition to the eyelid with glossy touch. 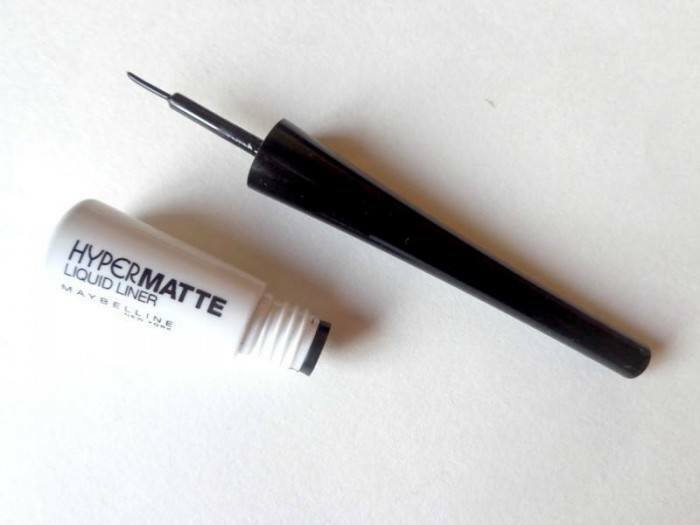 If you are into glossy eyeliners, this is a must try for you. And yes it is water proof! Hope you loved the blog. Please share your views and ideas if you have any. If you want me to do a blog on any topic or product, share that too in comments. 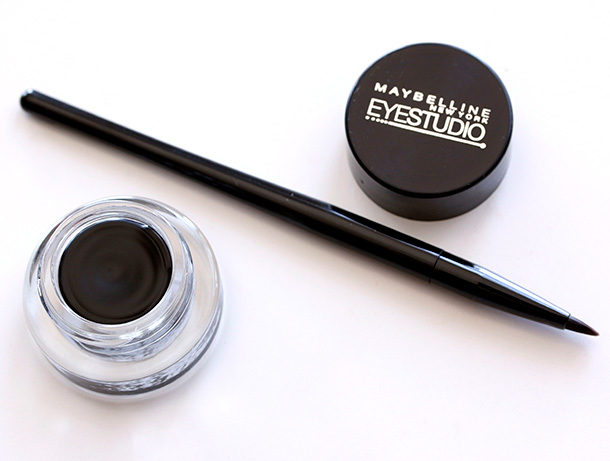 I have been using Maybelline eye studio gel liner for years now and can vouch for it too. Love that it made the list. It last really long and require very less amount on each application. You gotta try it girls! I have not yet reached the skill level to use gel eyeliners but I love the finish they give.